Uncategories Cable Renew/Cancel Watch - Children's Networks: 'Bizaardvark' Is a Toss Up + Much More! 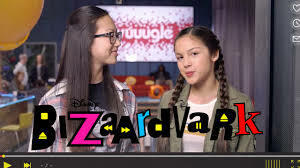 Cable Renew/Cancel Watch - Children's Networks: 'Bizaardvark' Is a Toss Up + Much More! Welcome back to the Cable Renew/Cancel! Sorry it has been so long since the last edition, but nothing new has happened! THE EMOJI PROBLEM: I'm sorry, but The TV Ratings Guide has been experiencing some problems with emojis and posting them. But, I can't let all the Renew/Cancel Watches get backed up, so I'm going to have to post a few without emojis, until we can get the problem fixed. Sorry! Bizaardvark: Started out good. Then fell to low numbers for its second airing, but I was still going to put it as a Likely Renewal. But, its third episode received the lowest rating any Disney show has had since 2015. Maybe it was a fluke, I don't know. But as of right now, I'm going to have to put it as a Toss Up. Lego Star Wars: The Freemaker Adventures: Originally did not start out well, but has now proven it is worthy of a renewal, by picking up in its ratings. So, I'm moving it to a Likely Renewal. Walk the Prank: Has really picked up steam these past few weeks, and a few airings have done better than some CW shows! It will be back. Legendary Dudas: Hasn't been doing too well, even for Nick standards, it is currently their lowest rated show. I'll give it the benefit of the doubt since it has only aired two episodes, and see if it can do better. It will start as a Toss Up. Clarence: Has improved significantly since the last edition of the watch. I'm moving it to a Toss Up. Should The TV Ratings Guide Get A New Look?